The Tel Aviv Stock Market Exchange (TASE) is the only public market in Israel where people can trade stocks. You will find many products here including stocks, bonds, mutual funds and more. This is a highly regulated by the Securities Law of 1968 and monitored by the Israel Securities Authority. There are a few things you should know about TASE. While it was founded in 1953 though the foundations go all the way back to 1935 with the Exchange Bureau for Securities. 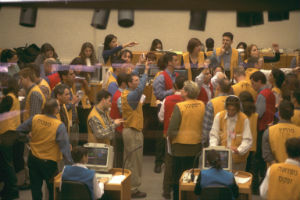 In 1999 the exchange switched to a completely computerized system. Then in 2006 TASE bought all remaining shares of TASE stock from holders making it a fully owned subsidiary. Even though TASE may have had modest beginnings, today there are 600 companies on the exchange. Of these companies 60 of them represent stock exchanges from other countries. How is it Doing Now? As with any market it will fluctuate. There will be some days where it will be down and other days where it will soar. This is why it is important to look at the market over a longer period of time. On the website you can see the graphs over the last three months as well as the year. The market is not at the highest point it has been over the last three months, but it is close. Also, it is significantly higher than it was a year ago. This is a good sign that this market is stable and on the rise, even if it does have the occasional low day. Nelly was born in Israel in 1973. She received the Master’s of Fine Art from Chelsea College of Art and Design in London, and her Bachelor’s of Fine Art from Central Saint Martins in London. Additionally, she has taken courses in her native Israel. Nelly divides her time between Tel Aviv and Chicago. Nelly works with artist Claudia Hill. Hill’s website states that she and Nelly collaborate via email, telepathy and in person. 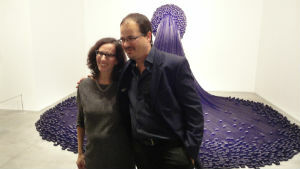 Both believe that the resulting artwork transcends their respective cultures and backgrounds to form something unique. The Dvir Gallery credits Nelly with the following awards and prizes. Each is a testament to the artist’s unique flair. The Tel Aviv Performing Arts Center, which is located in Tel Aviv’s cultural complex, was designed by Israeli architect, Yaakov Rechter, whose father was also an architect. 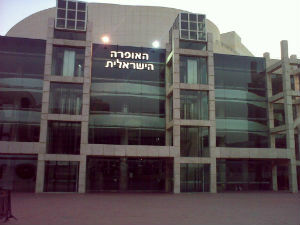 The Tel Aviv Performing Arts Center was first opened to the public in 1994. It is located at Shaul Hamelech Blvd, between Weizmann St and Leonardo da Vinci St.
Constructing the Tel Aviv Performing Arts Center within the cultural complex was likely perceived as an ingenious plan, as it opened many doors to performances that had not previously been performed on such a stage in Israel. It is a beautifully constructed modern complex. With its state-of-the art facilities, it is the ideal location for the Israeli Opera as well as the Israeli Ballet, both of which consider the Tel Aviv Performing Arts Center their home. Even the foyer itself is an architectural masterpiece, designed by architect-designer Ron Arad. The foyer features a small amphitheater where performances are enjoyed, along with temporary art exhibits. A café allows guests to enjoy the architectural beauty of the Foyer and the Tel Aviv Performing Arts Center itself. The New Israeli Opera presents six productions each season, according to the Tel Aviv Guide. Patrons can also attend a short lecture prior to the performance to learn about the evening performance. Backstage tours are also available, at which time patrons can enjoy even more aspects of the Tel Aviv Performing Arts Center. Children’s performances are held periodically and children are given access to Israeli Opera through ongoing education programs. The Israeli Ballet also performs throughout the year at the Tel Aviv Performing Arts Center, featuring such prestigious performances as Madame Butterfly. Guest companies from around the world present a variety of dance and musical performances on occasion. 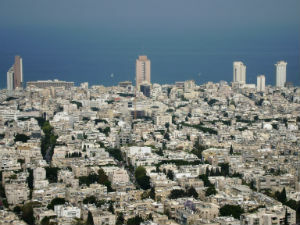 International festivals and unique exhibits held at the Tel Aviv Performing Arts Center helps to maintain the festive atmosphere and to keep it an attraction that residents and visitors from around the world enjoy. More than one million visitors enter into the Tel Aviv Performing Arts Center on an annual basis to enjoy the performances, cultural events and architectural beauty of the TAPAC.